A Conveyor is an optional addition to a horizontal baler system. Conveyors are used to transport waste materials from a low-level opening to the higher-level feeder of the baler. 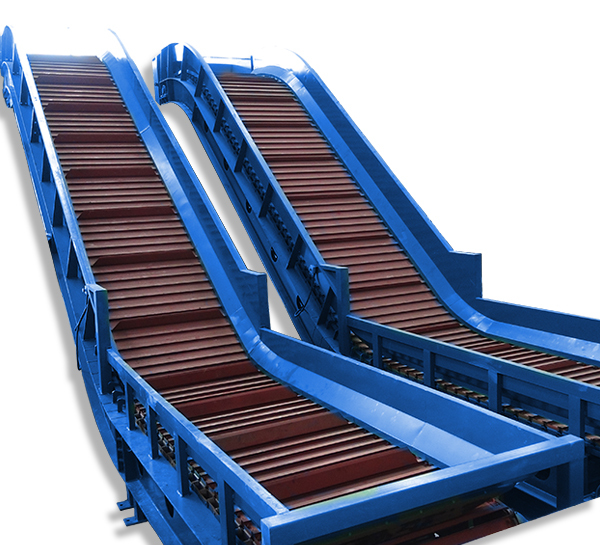 Conveyors are much faster, safer and more efficient than forklifts or other machines which are commonly used to transport large quantities of waste materials. There are three different types of Conveyor, each with their own unique strengths. The Steel Chain Conveyor is extremely strong and durable, while the Rubber Conveyor has a lower level of operating noise. These Conveyors are normally used with an Automatic Horizontal Baler or a Manual-Tie Baler. Horizontal Bagging Balers typically use a PVC-Belt Conveyor as they are more compact than the two previously-mentioned balers. All three Conveyors are made of a highly-durable steel frame. Customers can choose from among the three types of Conveyors to suit their own specific needs or send their specifications to Sinobaler for a professional consultation. Contact us today for your Conveyor needs and one of our professional representatives will answer all of your questions.